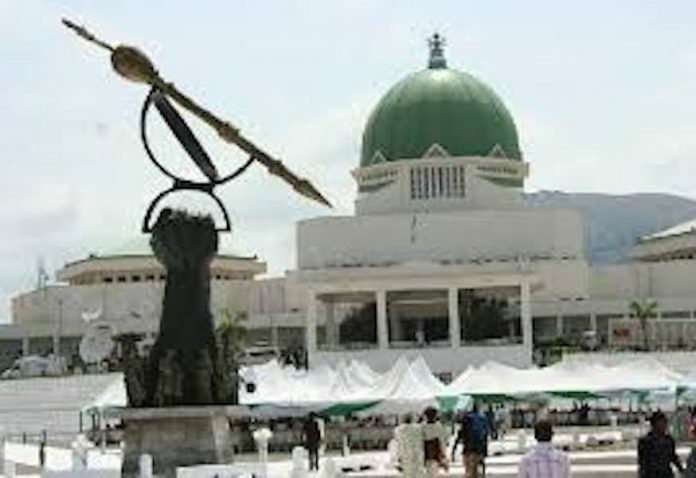 The meeting of the National Assembly Committee on Electoral Matters on Monday to correct contentious provisions of the Electoral Act Amendment Bill may have ended in a stalemate. While the committee chairman, Senator Nazif Suleiman, on Monday promised Nigerians that the committee would brief the media on the fourth amendment to the Electoral Act, the members as at Tuesday were divided over an undisclosed clause in the act. Though some of the committee members drawn from the Senate and the House of Representatives arrived Senate Room 117 venue of the press briefing as early as 11am Tuesday, the committee has not been able to address the media more than three hours after. Some of the committee members who were debating what transpired said some of the House of Representatives members imported some new clauses into the already controversial Electoral Bill. At a point, the Committee Chairman, Senator Suleiman Nasif, breezed into the venue of the briefing and invited all committee members to another Executive Session in his third floor office. The committee is still meeting at Senator Nazi’s office to iron out the grey areas of the Bill after which they are expected to brief the press.